We report our project activities to the International Aid Transparency Initiative (IATI) standard. We see this as an essential part of openness and transparency around the work we are doing. IATI seeks to improve the accessibility, quality, detail and timeliness of information on aid flows by laying out recommended data items for organisations to report on. An agreed electronic format for reporting enables data from different organisations to be easily compared. We believe that IATI has added value in enabling people to trace aid through the delivery chain. This traceability begins from the initial donor, going right through to the organisation implementing a project at the country level. We are working towards full IATI compliance incrementally and are continually improving our data. Our data is published in XML format, a computer-readable language which enables the data to be combined more easily with other data sets. You can access our current raw IATI data in XML format; our GHA projects are reported separately here. 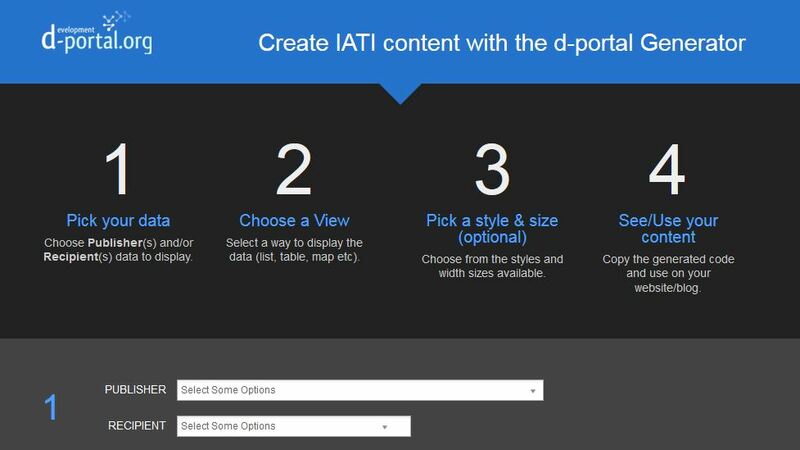 We have created a platform for exploring IATI data called d-portal, enabling users to view the data either from a recipient country perspective, or by publisher. You can see our data, and within d-portal you can explore all other data published to IATI, with the ability to drill down to individual projects via tables, charts and maps. If you prefer working with spreadsheets, you can also download CSV files from the tables on d-portal. 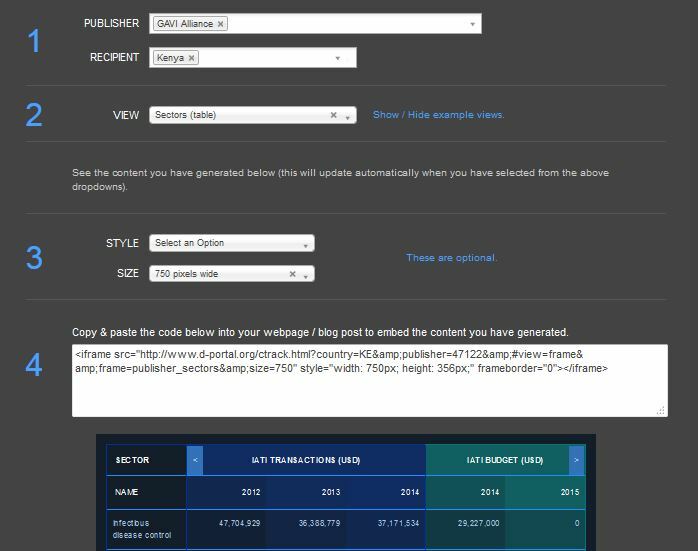 This table has been embedded to show you our IATI data: you can investigate further by clicking on cells to access the relevant d-portal page and drill down into more project detail. Once you take the code from the generator and embed it as we have here, the data updates automatically and you can choose to display most aspects of information currently available in d-portal including tables, charts and maps. For more examples of what you can embed using the d-portal generator. Read more about d-portal and IATI data. If you have any questions or queries, then don’t hesitate to get in touch at info@devinit.org.